Why should you opt for laminate flooring? Wood is a material capable of beautifying a home, making it an obvious choice for residential flooring. However, flooring made of genuine wood – sometimes known as hardwood flooring – also has practical drawbacks that could make some potential buyers of it reconsider. 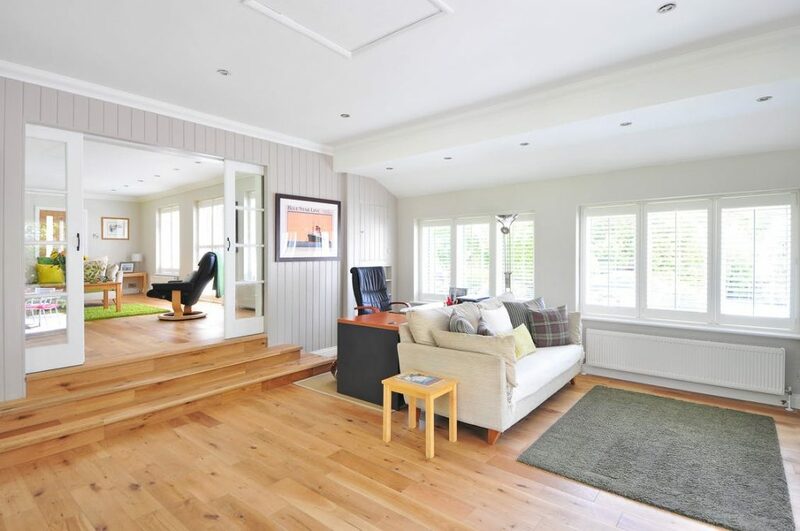 Laminate flooring is a good alternative for many people – but would those people include you? Some people could be deterred by the financial outlay that hardwood flooring would – or could – necessitate. It is indeed pricier than laminate flooring. This might not put off certain people who deem the cost an investment instead of an expense; however, if your flooring will be for a part of the house where children or pets are expected to be very active, then laminate can seem a wiser bet. This is attributable to laminate being hardwearing and, therefore, possibly less likely to be damaged by little feet running over it again and again. You should also consider that your little ones, both human and furry, could easily dirty the floor – and laminate flooring can be cleaned with little difficulty. Also, you don’t need to polish or sand it. Nearly all floors of this type can be fitted glue-free due to a “click” system. This is not only convenient for when the flooring is first put in place but also ensures that, should the need arise, it can be lifted back up and reinstalled without too much fuss. It also helps that, according to Time‘s Money website, the laminate product “can be installed in places where natural wood can’t go”. In fact, so easy is it to use that you can repeatedly take it apart and reinstall it without specialist assistance. Dust and dirt can easily gather on carpets, even ones that are regularly hoovered and steam cleaned. This can make laminate flooring a more convenient option if you have dust allergies – unless you are willing to leave no stone turned with the regularity of your carpet cleaning. Laminate flooring has all of these advantages and, when you seek to buy it from us at Hanham Flooring Centre, is also available in a massive variety of styles and finishes. Why not visit our showroom in Hanham to see laminate flooring that we offer?